All intelligent political analysts have known since Ancient Greece that the Tyrannical State always arrives on gentle cat’s paws, as Plato and others put it a few centuries after the basic strategies and tactics of Building The Secret Tyrannical State had been used so effectively by Peisistratus to build the first full-blown tyranny in Athens [though some objected that Solon’s “new deal for all” was a tyranny]. The Tyrant always arrives as the Great Friend of the People promising them new freedoms and a vast cornucopia of free goodies. Peisistratus was lucky enough to have new loads of silver to mint real coins to buy the submission of the masses for a while, expand trade and prosperity. Most states in the modern world use the Miracle Cures of Paper Money and the Central Planning of Finance, as has been done in the U.S. to a stunning extreme by the Fed and the Big Banks working under that vast government umbrella of guaranteed free money for them. Caesar Augustus perfected the Secret Tyranny in Rome, hiding so successfully behind his big lies of Republican Freedoms and other virtues that he looked like an ordinary citizen of vast benevolence. 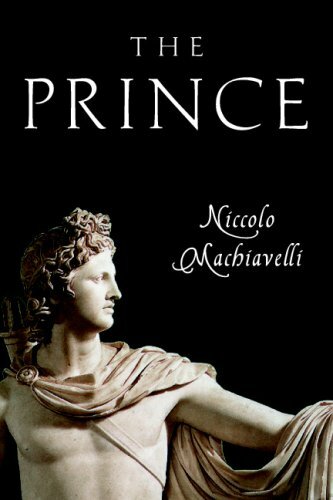 The Secrets of Tyranny have been so carefully guarded through the last few millennia that Machiavelli shocked the tyrants and all their complicit oligarchs by revealing the secrets based on his own insider experience with it in Florence in The Prince. Cesar Borgia was so shocked when this ghastly truth speaker dedicated the book to him that he disappeared Machiavelli — pretending he never heard it. Machiavelli was lucky to escape the secret stiletto revenge against truth speakers and live out his life in deep seclusion in the country. 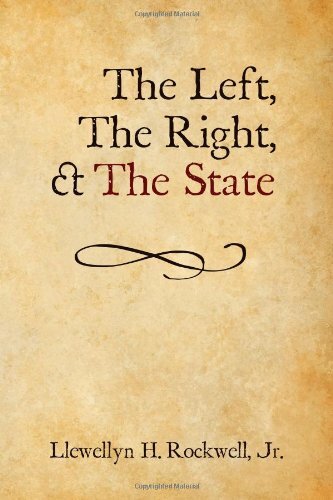 Intelligent Americans of the Founders’ generation were aware of the central place of secret financial tyranny in the building of the Medici tyranny of Florence and the building of similar tyrannies throughout parts of Europe. Most sternly opposed the US Bank, a weak imitation of a central bank finally outlawed by Jackson. Lincoln started a new central banking system with Greenback manipulations to finance the Union war on the South. It slowly withered away after the war. 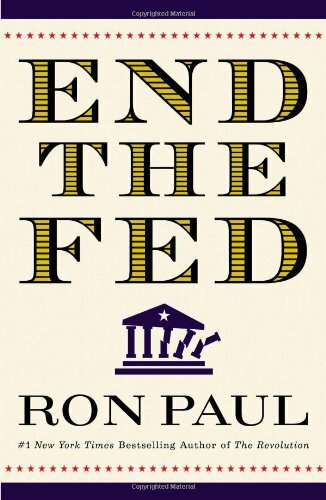 But in 1913 the US launched the Federal Reserve System which began by expropriating the freedom of hard money, banking and finance. It immediately engineered the vast WWI inflation, the Crash of the early 1920’s, the vast inflation of stocks and some real estate markets, the Great Crash of 1929 and the Depression lasting about twelve years. FDR in 1932 expropriated gold and a monetary, hard, free currency and the Fed and many vast new financing agencies began building the immense Paper Citadel of Tyranny in the US which has produced about 2000% inflation and the secret concentration of money, finance, wealth and power at the top of the Big Banks and their armies of subsidiary corporations. Over the past twenty years this Big Bank System in the US has worked quietly with similar systems in the U.K., France, some of Switzerland and other nations to build an immense Secret Banking System, which is euphemistically called The Shadow Banking System. It uses the paper money of the Fed, et al., as the base for leveraging an immense system of derivatives — now totaling about $700 trillion in contracts, but the exact amount is a secret. This vast Secret Banking System was the basis of the many trillions of dollars of fraudulent paper assets sold around the world by the Big Banks. It is this Secret System that began imploding two years ago and started the implosion of the Big Banks themselves a year ago. Those catastrophes were then used by the Fed, the Treasury, et al., as the “justification” for a vast, totally illegal seizure of the entire top of the US financial System and, thence of the U.S. and much of the global economy. The Republicrat Party, now dominated by the Demo Wing of the Party, is now using those vast new powers to rapidly seize control of all the major segments of American society — from health care to environmental controls which will rule [“regulate”] all corporations and individuals. All of this is being denied absolutely and all the symbols of freedom and equality and justice are being waved furiously in the Big Media by the Party to deceive the masses of ignorant “dupes,” as the professional politicians think of them. The Big Media are all Republicrat Corporations. Even Disneyland and GE own huge tv-network news departments and work under the aegis of the Party and the vast regulatory agencies the Party uses to control them. The Media now have almost no serious, honest analysts of what is going on in the US and around the world as the US invades more and more nations openly and secretly and builds ever more vast, secret police spying armies here and around the world. The US Presidents and their secret armies, notably the CIA, now literally have secret drones spying on nations around the world and murdering women and children suspected of harboring enemies of the US almost instantly by pressing a button in Washington or other spy centers to annihilate their homes with Hellfire missiles. Hitler and Stalin never imagined having such immediate powers of life and death even in their own slave states and certainly not on the other side of the world. These vast overt and secret police powers are now being expanded relentlessly across every major segment of our society that the Party sees as important to their plans to build this vast American Citadel of Secret Tyranny — the “new and better world order.” Obama swore with religious fervor to end all these Bush II tyrannies and has expanded them all relentlessly, even the insane Rendition program of kidnapping and torturing people in other nations around the world, which make the Gestapo powers look like the German Old Ladies Aid Society. We who are trying to expose what is being done in the US now to public view necessarily work under immense constraints. Almost everything in America can now be censored in the Media as a “violation of national security” or by simple disappearance and stigmatization as “Crazy.” We have to rely on these many insider accounts and carefully analyzing them in relation to each other to “connect the dots,” as Machiavelli did in the late Renaissance when the Princes disappeared people for telling the truth about their secret tyrannies. I and my many friends, colleagues, and others working to expose the vital truths have written and distributed hundreds of essays on the great Web, since even those of us who published many books as I did have been shut out of such public publications of the truth. We are trying desperately to reveal what is going on. We rely as much as possible on such honest, careful, insider accounts as the one below by John Moore about his experience in a class required by law to carry a concealed weapon in Texas. We are seeing a sudden explosion of these “dots of truth” and of immense Big Lies by the Obama Demos in their first half year of power, similar to what we saw and wrote about in immense detail and analyzed in the years of the Bush II Repub explosion of secret police and military tyrannies here and around the world. We will continue as long as we can to try to help the world see and understand the terrible Secret Tyranny that is being built in America and has already destroyed the real Constitution and left its outer forms as a shell of Lies to hide the awful realities of government power trashing all the traditional values of the American nation we love. I just took the concealed carry class today, and if there was any support for Obama, no one in the class was bold enough to express it. Of course, this was a group of gun toting and soon to be gun toting Texans and cops, but it was decidedly anti-Obama. They were particularly riled about something I have heard absolutely nothing about in our joke “news” media. Obama apparently sent the ATF down to the border states in vast numbers to check on people who’d recently bought guns. From this one little store where the class was being held, they grabbed names and addresses and went around asking several people if they could see the guns they bought. The gun store owner was upset because his customers were calling and asking why he’d sent the ATF to their house — and telling him that they weren’t going to buy any more guns from him. One of the guys in the class had two ATF agents show up and his door and refused to let them see his guns or come in his house without a warrant — and they left. The guy who was most pissed off — about the ATF visit his wife got while he was at work — was the cop fingerprinting us for our carry permits. He had been working security at the federal court and had just seen two cases of gang bangers stealing large quantities of guns — one from a home invasion of a judge’s house, and the other from driving a truck into a gun store — and he was wanting to know why the ATF was spending time at his house asking about his legal guns. Several people expressed the thought that they weren’t yet coming around asking to see what medications they had in their medicine cabinets and if they had to proper prescriptions. As of last year there were about 125,000 concealed carry permits in the state. We’re told that since November the number of applications is WAY up, and they’re backloogged now with processing 10,000 new applications a month.